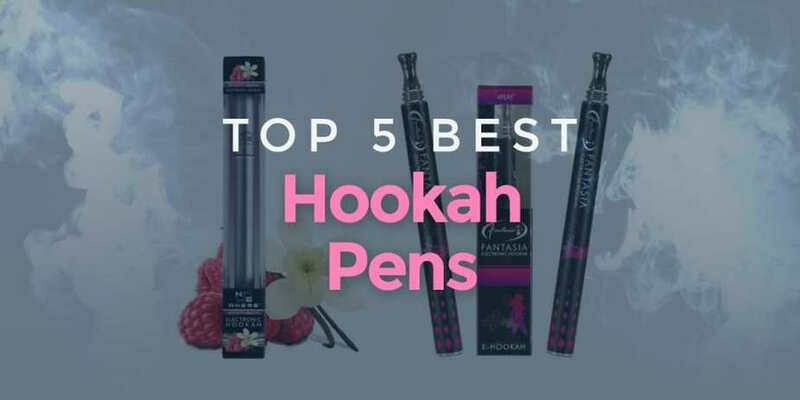 Best Hookah Pens of 2018 - Full Reviews & Best Choices! Ah, the Hookah. Sampling flavors from the time-honored water pipe is a fun activity, but sometimes a bit of a hassle. Normally, you'd have to drive down to the hookah bar or invite over a group of friends over and go through a lengthy setup/cleanup process. The advent of hookah pens, though, has made enjoying the hookah solo a much more tenable prospect, without the extra legwork. That is, if you've got the right one for the job. Though many companies try, not all can properly mimic the right feel, so you'll have to snag the best e-hookah if you want an authentic experience. Where to buy these great hookah pens? How much do such hookah pens cost? We're going to be filling you in on all of that, along with our picks for the best in today's breakdown. At first glance, you'd think you were looking at one of V2 Cig's other amazing pen-style offerings. The Mini Shisha pen, though, is a device all its own. It has quite a few features to interest those looking for the hookah-style experience. First, a few stats and specifications. This shisha pen-style e-hookah comes in several color varieties. Measuring about 130mm in length, and weighing 18 grams, this device uses an internal battery that hooks to the cartomizer and supply power. It's a 4.2 volt, 380mAH model, providing ample power and operating time that exceeds many of the 3.7-volt batteries that charge many other e-hookah varieties. It fires harder than other standard battery varieties and is replenishable via USB. The Shisha Pen comes in several color varieties. There's a diverse variety of flavor cartridges, courtesy of V2 themselves. I sampled one of their multi-flavor packs, which offered a choice between a few of their tobacco and fruit flavors. The Mini Shisha pulled nicely, with flavors staying rich and pure during the experience. This is an above average entry into a growing market and definitely best hookah pen contender. UK-based e-cig producers NEO certainly got the style portion of this design right. They're sleek, slim, and come in black accompanied by various neon colors. Beyond the looks, though, this is an above average e-hookah with plenty of desirable qualities in what is essentially a souped-up disposable. First off, being a disposable model, you'll need to pick up multiples to last you for a while. Each NEO Senses pen is packing a 270mAH battery. 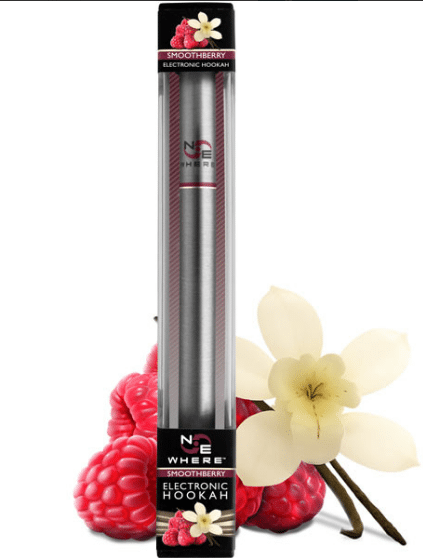 It offers decent performance and life for most average vapers. If you plan on going past 500 puffs or 2.5-3 hours, though, you'll be out of luck. You'll have your choice of more than six fruit flavored juice varieties, which include Blueberry, Cherry, Watermelon, Strawberry, Apple, and Grape. Buying and swapping in replacement cartomizers to heat your liquid is no sweat, though they are on the pricey side. In fact, that's my main knock against the NEO shisha pen: functionality is good, but the prices are a bit too high for the average user. Still, if you've got the extra dollars to spend, you're looking at one of the best hookah pens out there. Another disposable entry on the list. You might think being a disposable option relegates this to the low-functionality category, but it actually gives them an "out the box" usability that cuts down on setup time and greatly increases their ease-of-use. Operation is a simple, buttonless interface. Just take a draw, and the e-hookah will do the rest. Compared to the NEO Senses model, the Fantasia offers a longer lasting experience at a slightly lower price. You'll get about 800 puffs or so from the Fantasia's 300mAH EGO internal battery. Not the most powerful hits, but smooth and satisfying. There are a good number of tobacco-free flavors that come standard with the Fantasia, including various mint and fruit varieties. You can also outfit yourself with nonstandard flavors with increased nicotine levels, if you're willing to put in the time to learn. If not, you're still dealing with a quality pen that requires little to no setup and a good hookah experience. The disposable style hookah pens continue to prove themselves as a popular and economical option. NEwhere has gotten in on the action as well with their line of "zero nicotine" e-hookahs. The design is pretty standard for these devices. Smooth, cylindrical, though, a bit thicker than some of its counterparts. The flavor varieties are vast, seemingly limitless. In truth, they have 11 for you to pick from: Pink Lemonade, Big Melons, Pina Colada, Sour Appletini, Banana Berry, Orange Cream, Chocolate Chill, Smooth Berry, Vanilla Thriller, Island Squeeze, Grape Gatsby. As I mentioned, the NEwhere is following the disposable design trend, and doing it well. You can expect anywhere from 600-700 puffs off of one disposable e-hookah, and their relatively low price makes investing in several a cost-effective option for most. Airflow is good on these models, and vapor production is substantial, especially considering this is a disposable. Just be sure not to accidentally block the airflow, which is located close to where you would naturally position the device in your fingers. Other than that, this is an excellent pen style disposable that gets the main features right and doesn't add any extraneous features to complicate operation. This is all on top of looking a "cut above" many of the other e-hookah options thanks to the classy, metallic barrel. 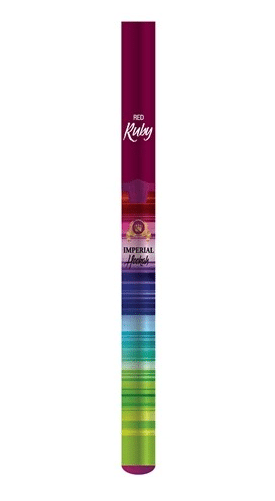 The Red Ruby 600 Puff Disposable Hookah from Imperial Smoke puts all the important features right there in the title. Indeed, you'll get a good 600 puffs before you have to switch out to another disposable. No sweat there, the price per disposable is much lower than pretty much all the other options on our list. If nothing else, this is the most affordable hookah pen out the bunch. Like the other disposables, the Red Ruby is ready to use out the box. No assembly is required, and no tinkering with settings to start your hookah experience. Unlike some of the other options, though, the standard Red Ruby hookah pens come at a 6mg nicotine level. You can also find these bad boys in 12mg or 18mg if you need a greater kick. The Red Ruby also comes with a few safety features built-in to protect users. Chief among those is the 5-second "shut-off" feature that disengages the device while idling. This keeps you from accidentally burning up your belongings (or person) through inadvertent overuse. Smooth move, Imperial. In addition to all the safety and functionality built in, the exterior of the Red Ruby is unmistakable. A rainbow gradient that's sure to catch the eye of anyone walking past. If you want to do stealth hits, this might not be your option. If you want to make the flashiest statement about your hookah pen choice, on the other hand, the Red Ruby should jump right to the top of the list for you. Now that you've seen a few options and can confidently answer your friends when they ask "how much is a hookah pen?" what do you think? Did any particular choices catch your eye? In my opinion, the disposable hookah pens are the way to go. They're much easier to use, relatively inexpensive, and provide roughly the same level of quality and experience as the reusables. With the right battery, you'll be getting plenty of use from each. With some ingenuity, you can repurpose your old disposables for a new life, if you so choose, so it's really like getting the best of both worlds. Of the disposable options, I was most impressed with the Red Ruby, not just for the rainbow color scheme, either. It offered the best price point, along with a comparable longevity and vapor production level, and even managed to fit in some user safety features to boot. If you want the complete package, I'd say stock up on a few of those; you won't regret it!